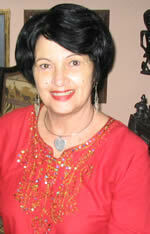 Please click on the image OR CLICK HERE to read all of Rebeca Monzo’s posts on TranslatingCuba.com. Readers: Given the explosion of writers now being translated by TranslatingCuba.com, to make our work manageable and as a convenience for our readers, we are consolidating all the posts on one site. Translators: YOU CAN HELP! Please go to HemosOido.com to translate Rebeca and others. Rebeca Monzo, 1 February 2016 — As if there weren’t enough problems surviving in this country, even after death you continue to confront problems, only they fall on the friends and family members of the deceased. Hence, that old and well-known phrase, “The dead to the hole and the living to the chicken [i.e. dinner table]” no longer applies. This is a country with an aging population, and as a consequence, deaths are frequent. Recently there have been several deaths in the area when I live, some of which I can comment on as a witness. The saddest of all was a great friend from my childhood who, given her personal characteristics and physical condition, her death was unthinkable. 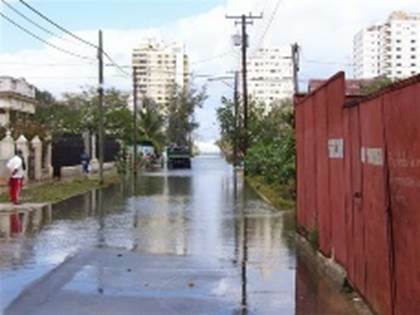 This friend appeared to be having a stroke so she was immediately admitted to the hospital closest to her home, El Fajardo. She was put in intensive care where she spent several days on an artificial respirator. When she died on January 26th, complicating the original diagnosis was a bacterial infection she acquired after she was admitted. The hospital made the necessary arrangements for the wake, but there were no funeral homes available in the Plaza district, where she lived. Some were closed because they were undergoing repairs, and others, like the National, for being in very poor condition. Finally, with a little greasing of palms, they managed to find one at Zapata and Paseo Streets, where the family could hold the wake while waiting her turn to be cremated, which they were warned could take two or three days. So, using the same “persuasive methods,” they managed to schedule it for that night. Everything now depended on whether they could get the only vehicle available to move the coffin to Guanabacoa, where the crematorium is. “May God rest her soul,” I told her. I was the only consolation I could give her. Rebeca Monzo, Havana, 23 January 2016 — Here on my planet Cuba, the lack of products in the food markets, the shortages in the stores selling in the badly named “national currency,” as well as in the stores called “Hard Currency Collection Stores, the collapse of the buildings in poor conditions and without maintenance for so many years, the clogging of sewers and drains, the piles of trash not collected on time and its being washed away by the downpours, with the resulting flooding, the salaries and pensions that barely stretch to cover the most precarious needs of the individual, are all disasters blamed on imperialism and now, more recently, the El Niño phenomenon. It is true that this weather phenomenon has brought grave consequences to many countries, where there are poor people living in precarious housing. But it is no less true that in cities like Havana, where the urban design and architectures are still sources of admiration for much of the developed world, all these consequences we are suffering today, are not only due to the antics of “The Little Boy,” but to the bad administration and indifference of the Old Man. While the decadent old system continues on without taking the essential measures to better maintain the streets, sewers and housing, there is a National Assembly of People’s Power that can’t do anything and a government on the island that continues on entrenched in its obsolete ideas, without fostering the essential political, economic and social changes. 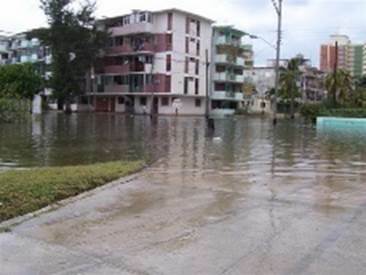 As long as this continues the Cuban people will continue to suffer the ravages and consequences of these two phenomena: climate and governance. Rebeca Monzo, 29 December 2015 — We are now almost at the end 2015 and outside one can detect a distinctive feeling of sadness. People wander the streets, going from poorly stocked farmers markets to stores in their daily search for food. If they cross your path and you wish them a “Merry Christmas,” not only do they not return the greeting, they look at you stunned, as though you were an extra-terrestrial. Very few hard currency stores are decorated with lights or Christmas trees. The others — the ones that price goods in the misnamed Cuban peso, a currency that is almost worthless but the one in which salaries and pensions are paid — do not even carry normal every-day light bulbs. Their shelves are either unabashedly empty or are filled with the same product. Their display windows are broken and grime covers the floors and glass. There is no media coverage of traditional celebrations, only stories about the latest anniversary of the triumph of a revolution, which from the beginning was already showing signs of what it would ultimately become: a complete failure. Never has the Cuban family been so divided and dispersed as it is now. Christmas Eve passed without notice. The streets were as deserted and dark as usual, and there were none of those enticing aromas of yesteryear wafting from neighborhood kitchens that gave hints of a pleasant meal to come. If this is the socialism the government says it wants to “perfect,” may God help us! Rebeca Monzo, 18 December 2015 — Yesterday, December 17, marked the one-year anniversary of the resumption of diplomatic relations between the United States of America and the Republic of Cuba. In my earlier post I noted that, when this event occurred, it unleashed many feelings, ranging from joy to apprehension. It quickly became obvious that there were two emotions in particular that Cubans were experiencing quite keenly. On the one hand, there was great hope at the prospect of major changes so long desired by the vast majority of Cubans both inside and outside the country. On the other hand, there was the fear that the Cuban Adjustment Act, presumably now irrelevant, would be repealed. This latter concern led to the massive exodus of Cubans to any Latin American country they felt might serve as a trampoline to vault them to the United States, as well as the flight of the “lucky ones,” who could go to the U.S. directly. Rather than implement urgent changes necessary in a country mired in a full-blown social, economic and political crisis, an intransigent Cuban government has instead obstinately made ridiculous demands, which have only succeeded in stalling the negotiations, in an effort to buy time. It is obvious that, at least so far, it is the Obama administration that has initiated all the efforts aimed at improving relations. Meanwhile, Raul has insisted on reparations that he knows full well will not be paid — brandishing them like symbols of a highly questionable national sovereignty and independence — while using and forcing Cuban media to adopt accusatory, obsolete and undiplomatic language when referring to the United States. Unless this changes, we will continue experiencing economic, political and social stagnation, which — along with the crises facing the Maduro government and the Latin American left — only threaten to get worse. The only positive images in our minds and on our retinas have undoubtedly been the raising of the flag at the American embassy in Havana and the raising of our flag in Washington. 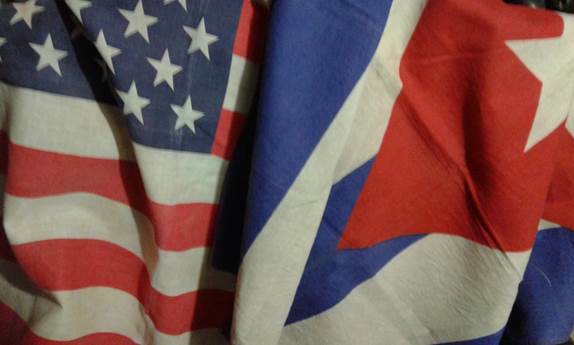 Rebeca Monzo, 26 November 2015 — Some days from now it will be the first anniversary of the reestablishment of diplomatic relations between the governments of Cuba and the United States, but the great expectations awoken by the desired event seem to have fallen into uncertainty and stagnation. The vast majority of Cubans believed they saw on this event the potential for great improvements in every sense, but disappointment soon invaded all of us on seeing that the island’s government had not taken a single measure to indicate good faith and the desire to realize the changes so greatly longed for. The fact that they authorized travel for all Cubans and have streamlined the paperwork is nothing new, nor is the authorization to buy and sell homes and cars. These are not government handouts, but simply a restoring of citizens’ rights usurped 56 years ago by the regime itself. 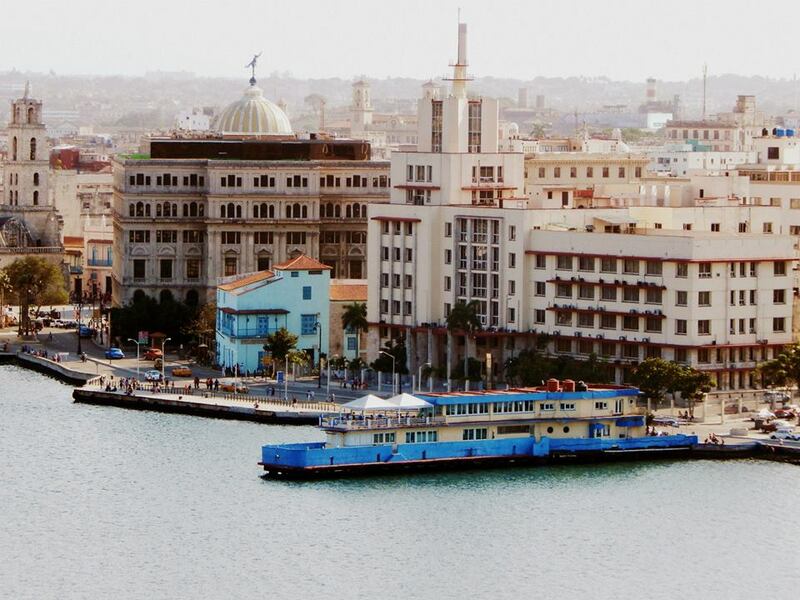 Government immobility has led to a new stampede of Cubans abroad, using every kind of means to escape from a regime in which nobody believes or has any confidence. Moreover, while thousands of compatriots abandon the country that is totally bankrupt, selling all their property and belongings in order to finance the path to a new dream, the influx of tourists to the island grows as never before, surprising given that the country does not have adequate infrastructure to receive them. Shortages in the markets and hard currency stores, the sporadic disappearance of basic goods like mineral water, soft drinks and beer, the bad state of the streets and highways, the unhealthy atmosphere in a city where garbage collection is inadequate, the outbreaks of dengue fever and cholera in the capital and other provinces, make me question what motivates this great arrival of foreigners, among whom we find stars of the screen, the stage and music. Could it be they want to visit this great Caribbean Jurassic Park before the oldest and sickest of its dinosaurs, still breathing, cease to exist? Only time will have the last word. Rebeca Monzo, 13 November 2015 — As I see it, it would be incorrect to claim there is a Cuban style. During the last fifty years Cuban men and women on the island have been dressing any way they can with whatever was sent to them by overseas relatives, by repurposing old clothes or, in recent years, with contributions by those who had the opportunity to travel and brought back clothing of low-quality for resale. Until now, the only major points of reference on which Cubans could rely for their so-called fashion sense have been popular video clips and TV soap operas, most of them Brazilian. It is very difficult to be a fashion leader if you do not have a strong economy and great designers, or a textile industry and light manufacturing to provide everything necessary for its creation. That is why fashion has always been dictated from the great capitals of the world, Paris being the prime example. It is the public itself that ultimately determines what fashion is by adapting it, using it and broadening its appeal. Everything else is determined by fashion trends, adaptations to climate, social status and the infrastructure of individual countries. It should be noted that there are iconic pieces, such as the Cuban guayabera, the Panama hat and the Mexican shawl, to name a few, but by themselves they do not constitute fashion. A very interesting and commendable recent development in this country has been the first Artisan Fashion Week, which serves a prelude and kick-off to the famous annual FIART fair. It has become essential to set a benchmark on what constitutes proper dress. With the disappearance of fashion magazines as well as related institutions decades ago, there has been a lack of information, and the mass media has not provided good examples to follow. The only hint that there might be such as thing as Cuban fashion came when La Maison created some fabulous and very tasteful pieces inspired by the guayabera and Creole buttons. Another key moment was the appearance of those famous Telarte fabrics, created by some of our country’s best designers. Their life was, however, as fleeting as that of a butterfly. At the time there were some hard currency stores that carried these creations but the population of Cuba was denied access to them, along with the use of that particular type of currency. Historically speaking, we should note that the most important changes in women’s fashion internationally coincided with big, earth-shattering events. During World War I, women found themselves taking on jobs formerly held by men, who were at the front. One of the big changes in women’s lives was a new wardrobe more appropriate to their new social role. This meant abandoning uncomfortable undergarments such as corsets, which limited their movements, and adopting shorter skirts and looser hip-length blouses. Later came boyish haircuts and the use of cigarettes holders for smoking, which women felt they had gained the right to do in public. With these changes came economic independence and self-determination. As a result, certain iconic items altered the landscape of fashion: extended waists, long strings of pearls, reed-like cigarette holders and short shirts that exposed legs covered by sheer flesh-colored silk stockings. These were the hallmarks of an elegant woman of the 1920s. Two styles of dress conquered the fashion world, took root and remain popular today: the tailored suit and casual wear. The first — made from a myriad of materials, including thin, soft wools for daytime and beautiful lamé fabrics for night — was one of the major contributions by Coco Chanel. Casual wear resulted mainly from the great boom in sports and thrilling sporting events, which women attended both as spectators and to show off. The difficult years of World War II saw widespread rationing. Fabric, an essential commodity, was one of the hardest hit. Skirts ended just below the knees to save on fabric. The widespread use of the uniform for women in critical jobs, both in the army and in factories, affected the way they dress. Nevertheless, the great couturiers never stopped responding to new requirements by offering new solutions. In 1947 there was a radical and dramatic change in appearance of a woman’s waistline. It became more refined as skirts became a little longer, giving them a beautiful fullness, which had been missing for many years. One of the most prominent designers of this period was undoubtedly Christian Dior, until then virtually ignored. Until the 1950s, Cuba served as a model of female beauty and elegance. So renowned were Cuban women for these qualities that, when they travelled overseas or moved to foreign countries, women such as the Countess of Merlin dazzled the royal courts of Europe with their refinement. 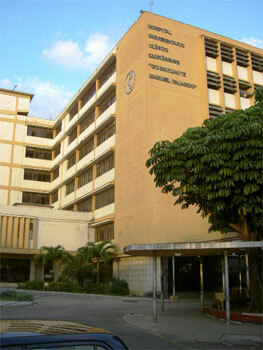 This was due in large measure to the number of designers and fashion houses in the Cuban capital. One of the most internationally renowned and recognized of these designers was Cuba’s Ismael Bernabeau, to whom this article pays homage.